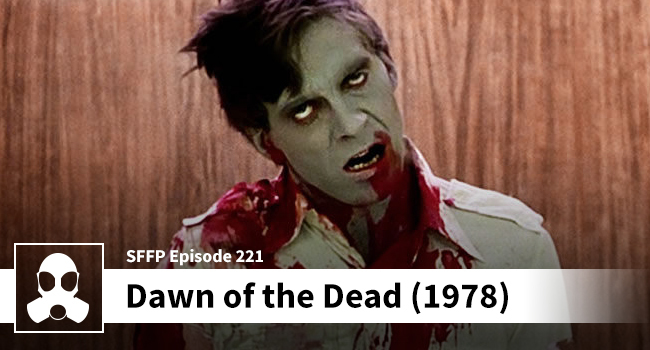 Dean shocks Matthew by revealing to him that he has never seen Dawn of the Dead, and doesn’t revere George Romero like most people seem to do. Dean does start to understand the appeal towards the end of the episode. Apparently, Matthew’s unabashed enjoyment of this flick got Dean’s attention, like a well-timed zombie bite (yuck yuck). The lads get into the zombie sub-genre quite a bit, but don’t worry, they talk about ghosts, werewolves, and vampires too. Push play, sit back, and put your hands in your pants — we won’t judge.